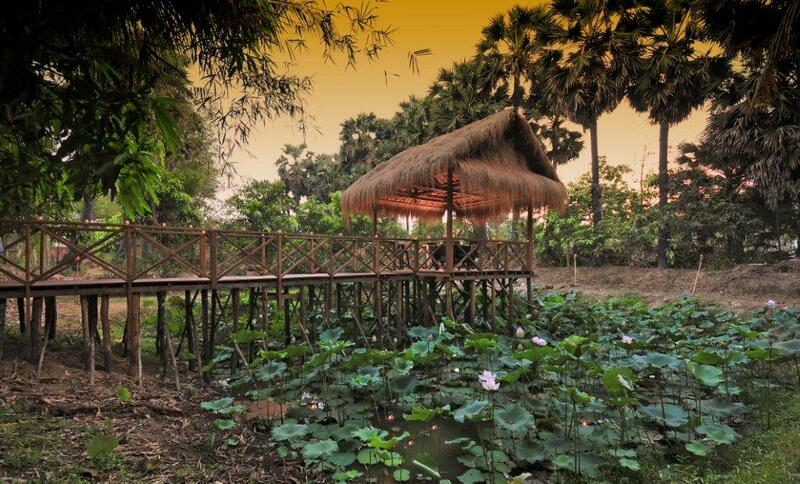 The most Unique Dining experience in Siem Reap. Your own private chef will cook a three course meal just for you in your own private pavilion. Enjoy a welcome drink over sunset and then sit back and watch dusk turn into night. 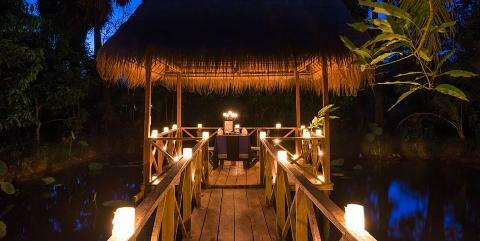 Your pavilion is surrounded by bamboo flares and candle light. 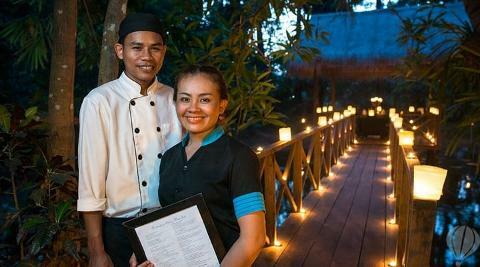 Your private chef and waiter will ensure you have the perfect evening. This is ideal for couples or friends and the perfect romantic dinner. Set in your own private pavilion 10 minutes from town. Pricing includes welcome drinks, three course meal, a bottle of wine and free flowing soft drinks as well as return transfers from your hotel.